It was a deeply depressing week. Ireland’s two most important partner countries – Britain and America – are becoming sources of insecurity rather than sources of security. The implications are many and grave. The problems for Ireland flowing from both Brexit and Donald Trump are not going away any time soon. There will be occasions in the weeks and months ahead to ponder the huge implications of the changes that are happening, and will likely happen, owing to Britain’s rupture with Europe and Trump’s wanton undermining of the transatlantic order. While happier developments are still taking place, let’s grasp them while they are there to grasped. 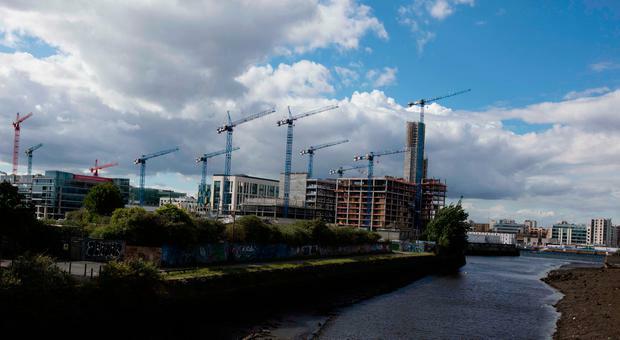 Last week brought plenty of good news on the Irish economy, with a raft of indicators showing that its long spell of uninterrupted expansion continues. The flurry of fresh figures almost all point to an economy that continues to thrive despite the huge and unprecedented range of political and trading uncertainties that exist.